Free accounting software may be an excellent option if you are an independent contractor or you own a small company. *This free accounting apps list comes from an in-depth analysis of real-user reviews from accountants using the platforms as of August 2018. Most free plans offer essential features such as invoicing, sales and purchasing, or banking and payments, which are usually more than enough for most small companies. Many free accounting solutions providers also offer paid plans, which can vary a lot regarding features and price. In some cases, vendors also provide paid services that can help buyers with payroll or credit card payments. At first glance, most free accounting solutions may look alike since they all offer the features you need to manage a small business. Upon closer inspection, however, you will notice that each vendor has its own unique way to differentiate itself from the competition. Other than offering free versions, vendors try to attract customers by combining features with the number of users, paid versions and services, as well as the number of transactions available or the size of the cloud storage included. Very few of the solutions described below offer everything for free, for an unlimited number of users and transactions, with no storage limitations. TIP: Check out these impressive accounting statistics to help your finance team work more efficiently in 2019. The features included in the free version and the other plans. If your company is growing, it helps to choose a solution that can support your growth. It is also essential to understand how the vendor can help you integrate with software that you may need to buy in the near future, such as CRM software or project management software. The delivery model is essential because small companies prefer to avoid hosting software in-house to reduce or eliminate IT costs. While most accounting solutions, including the free versions, are delivered in the cloud, some vendors offer free software that needs to be installed on your computers. In some cases, the free version is only available on premises, and the paid options are delivered in the cloud. The number of users and the user roles available in the free version. Some vendors only allow one user for free plans, others five or 10, and only a few free solutions are available for unlimited users. Additional users can be added for an extra fee, and the user roles included in free versions can also be limited. Since managing user access to your accounting solution is critical to avoid errors, it is essential to understand the features provided to manage user rights. The number of transactions included in the free version is probably the most critical limitation. When you can only create 50 invoices, you need to ensure that you don’t need more than that because the solution won’t be beneficial when you reach the maximum number. Even when your company isn't growing enough to justify replacing the free solution anytime soon, you should consider the fact that the software may not be free forever. It's hard to tell for how long you will be able to use it for free, so make sure you can easily export your data in case you need to transfer it to another accounting solution. Localization or the ability of the solution to help with local taxes or accounting rules. All free versions allow you to set your taxes, but some include options for VAT or GST; the former can only be used in Europe, while the latter is used in North America. The list we’ve outlined here includes any accounting solution with an available free offering. It should be noted that this does not include products that are only free on a temporary basis, such as limited trial versions for new users. These products alone have well over 280 validated user reviews on G2 Crowd as of July 2, 2018, and only represent a portion of the 180-plus accounting software offerings listed on our platform. Here is an in-depth analysis of those 11 accounting SaaS products. Akaunting provides one single offering that is completely free. Available in 28 languages, Akaunting is delivered both on-premises and in the cloud. 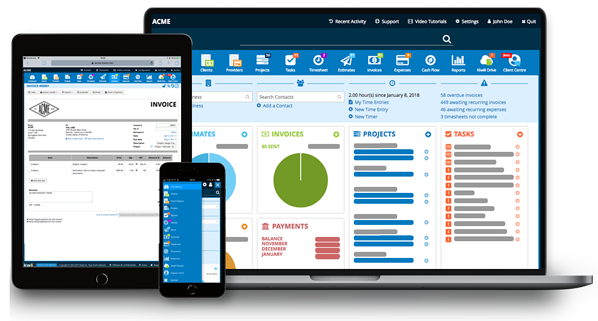 Customers who need advanced features can benefit from paid apps for a dozen types of business needs including accounting, inventory, project management, CRM, POS and time tracking. Some apps are free, and the paid ones cost between $49 and $99. There are no limitations in terms of the number of users or number of transactions. Brightbook allows users to invite up to 10 people to use the system; a credit card or any other payment method is not necessary to create an account. 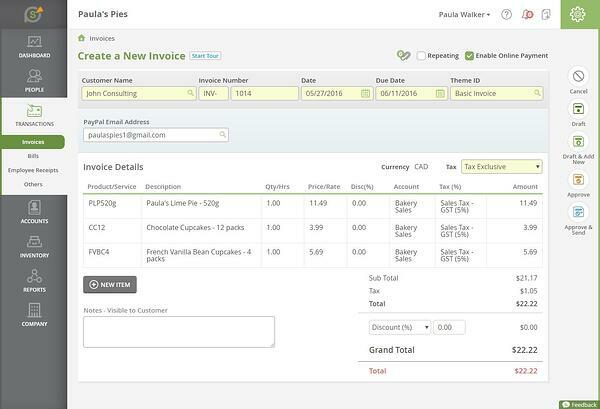 The system is populated with demo data so you can try it without creating transactions or importing your own data. It allows data export and provides an audit trail for all the changes you make. 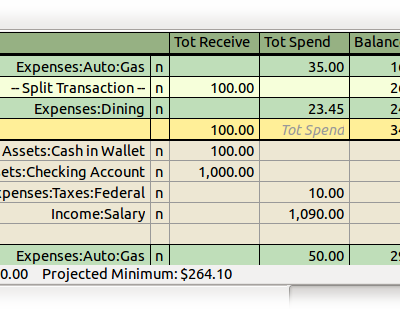 GnuCash is an open-source accounting software and can only be used on-premises. The solution can handle internationalized dates and currencies, and the interface is available in 50 languages. An important feature that isn’t offered in many other free solutions is the option to create and schedule recurring transactions. Another useful feature is the ability to reconcile transactions against bank statements, which can help companies avoid data entry errors. The free option of Kiwili is limited in terms of the number of users and transactions. Only one user can benefit from the free version, and it costs $5 to add additional users. 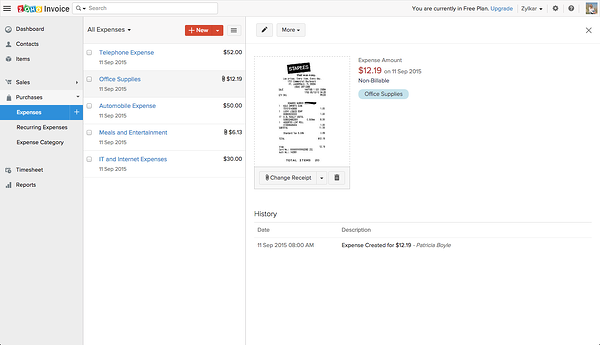 The system is limited to 20 invoices, expenses and estimates. The maximum number of contacts is 20, and users can create three projects, limited to only three customers and vendors. Besides accounting features, the free plan includes contact management so you don’t need a separate solution if your CRM requirements are minimal. 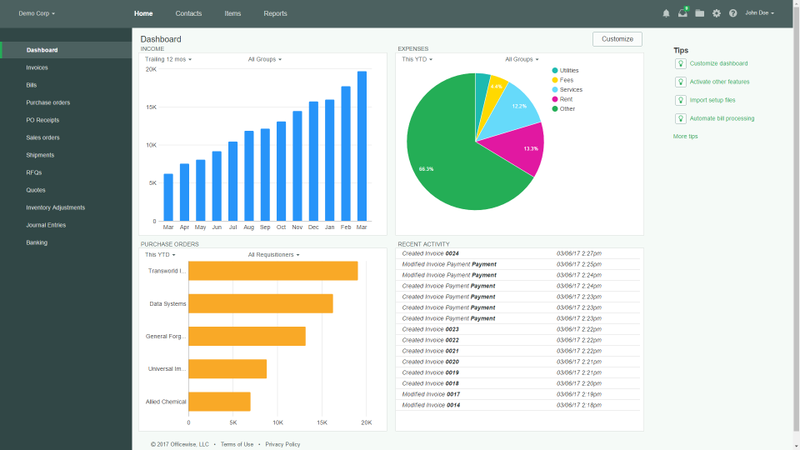 The paid plans include many more features, such as project management and time tracking, inventory management and cash flow analysis. 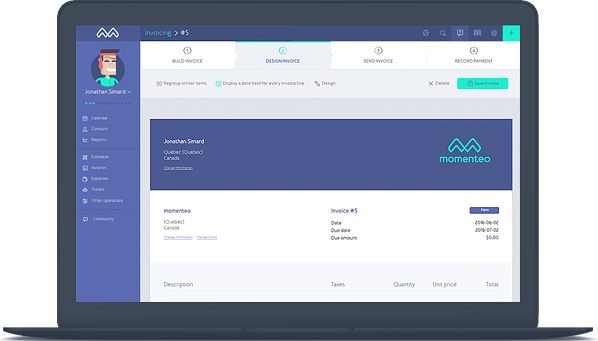 The free version of Momenteo is limited to two clients and only allows for offline payments such as check or cash. 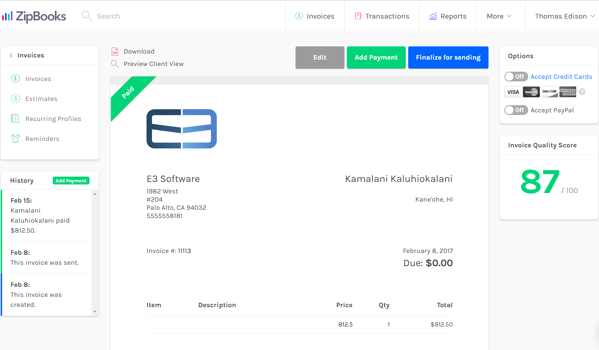 Invoices and quotes include a “Powered by Momenteo” footer, which can be removed when customers choose a paid plan. Besides accounting features, the solution also includes functionality to schedule activities as well as for time tracking. All features are included in the free plan but users can only create three transactions per month. Only one user is included, but unlimited additional users can be added at no extra cost. Three user roles are available in all plans, except for the Professional plan. Officewise allows companies to manage their inventory, purchasing and receiving, as well as sales and shipping. As opposed to most other free solutions, functionality for budgeting and forecasting is also included. — Officewise review from Win N.
Free plans include an unlimited number of users, 1 GB of storage, year-end tools, free updates and backups and API access. There are three free plans and the only difference between them is the number of ledger entries created over the previous 12-month period. To help customers keep track of the number of entries available, QuickFile offers an account size calculator that track all transactions. SlickPie is one of the few solutions that offer PayPal, Stripe and credit card processing as part of its free solution. Another unusual feature for free software is the ability to link to an unlimited number of bank accounts from most major banks. This option is delivered through live bank feeds that allow companies to track bank account balances and optimize bank reconciliation. For those who want to integrate SlickPie with other systems or create their own apps, the vendor provides open APIs. 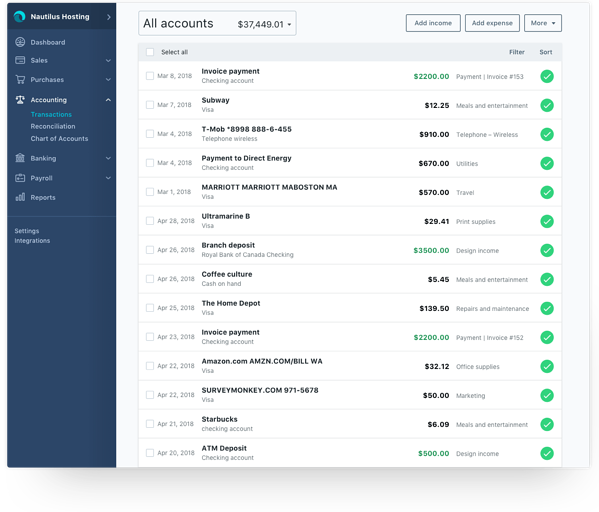 “I used Xero for more than 2 years and switched to SlickPie around 3 months ago in order to save money (almost $700 a year, which is a significant amount for my small consulting business). I use free solution that I find is good enough for most small businesses. SlickPie is super easy to use. I started entering my invoices and generating trends from day 1. SlickPie is especially helpful for sales analysis and trending. The great looking interface, modern design and user-friendly buttons convinced me to make the switch. I make sure to accept online payments on each invoice I send out. I also collaborate with my business partner and accountant using multi-user access feature. These all features help us collaborate with each other and avoid clashes. — SlickPie review from Saqib N.
Wave provides all features for free and only charges for services such as online payment processing and payroll. Email support is included, but live chat support is only available for customers using paid services. Accountants can list their company on the Wave Pro Network for free. There are hundreds, maybe even thousands, of accountants and accounting companies listed. 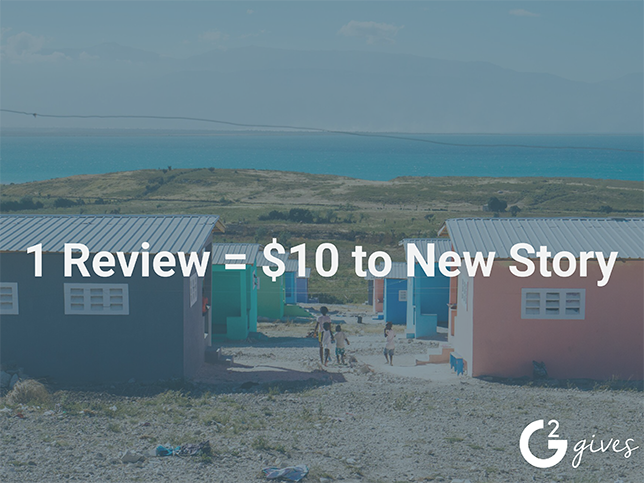 — Wave review from Katie T.
The free version of ZipBooks includes unlimited customers or vendors; there are no limitations in number of transactions, but users can only manage one bank account. While the option to process credit card payments is included in the free plan, you can only use it if you pay the fees mentioned below. A marketplace of services from 100,000 companies includes all types of companies, from web design and marketing to cleaning services and furniture refinishing. — ZipBooks review from Diego L.
The free plan from Zoho Invoice is available for one user and five automated workflows, and you can invoice up to five customers. G Suite integration, APIs, payment gateways and CRM integration are also provided. The features are the same for all plans; the only differences are the number of customers, number of users and the ability to use a custom domain (only available in the Professional plan). “This software has been a lifesaver to me and I can't praise it enough! Also, I can't begin to explain how great it is having mobile apps that you can actually work with! 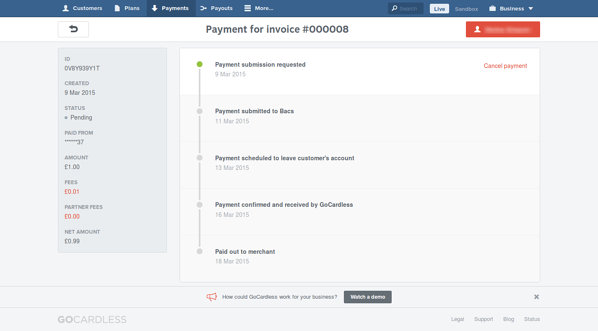 — Zoho Invoice review from Martin R.
If you used any of these solutions, please leave a review with your feedback on what you liked and disliked, what can be improved and what business problems you solved using the software. 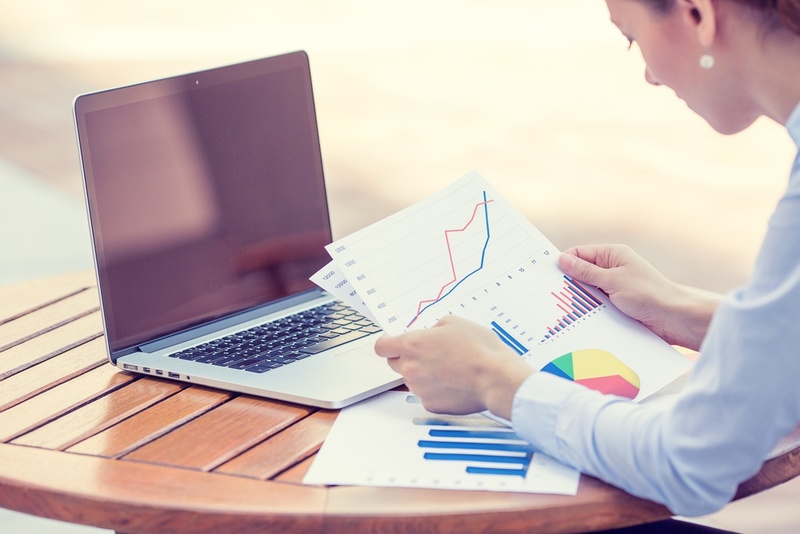 Ready to learn more about accounting-based software? Learn what is ERP and how an enterprise resource planning system can help your business.